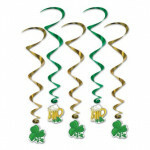 4 inch St. Patrick's whirls that hang 3 feet. 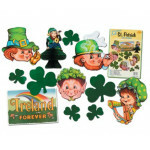 The 5 pictured cutouts are contained in each pack. 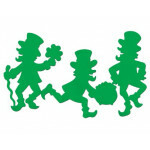 ..
17 x 15 inch leprechaun silhouettes. Each pack contains 3 cutouts. 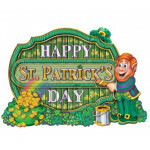 ..
11.5 x 16.5 inch Happy St. Patrick's Day sign. 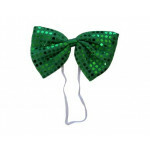 ..
12 piece St. Patrick decorama. 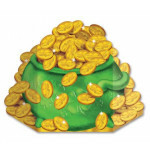 ..
3' 1/2" x 24.5 " Pot-O-Gold stand up cutout. 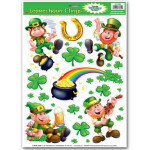 ..
14 inch leprechaun cutouts. 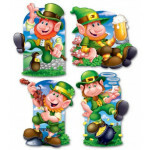 The 4 pictured cutouts are contained in each pack. 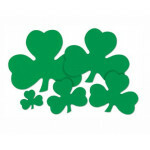 ..
One 16 inch shamrock cutout. 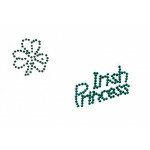 ..
12 x 17 inch sheet of St Patrick glass clings. 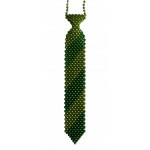 ..
DZ 4"X7" BOW TIE ..
GREEN BEADED TIE. HANGS 13 INCHES. 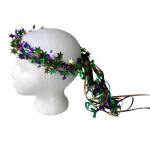 ..
MARDI GRAS HALO HEAD PIECE ..
IRISH CRYSTAL BODY TATTOO. 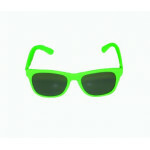 YOU WILL RECEIVE ONE OF THE TWO STYLES PICTURED. ..